Racing fans worldwide are gearing up for the 102nd Indianapolis 500 in Indiana on 27/05. 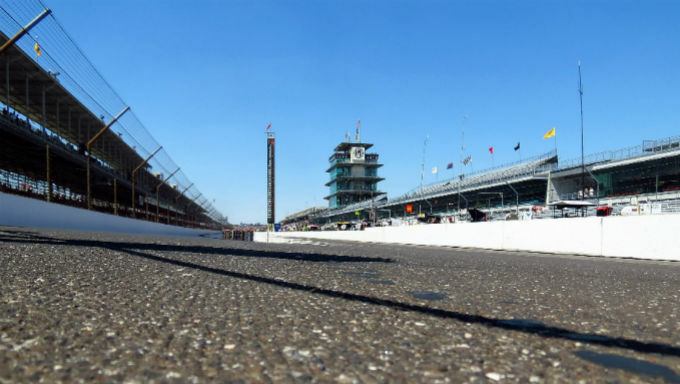 Long considered one of the most prestigious races in America, this year’s Indy 500 is poised to present another 200 laps of thrilling racing action. For those who care for a punt can add an extra layer of excitement to the racing in the Brickyard. With the field of 33 world-class racers as talented as ever, it can be trickier for even a veteran prognosticator to pick a winner for the latest instalment of the Greatest Spectacle in Racing. For savvy punters, there are few edges you can use to your advantage when picking the next driver to drink the milk in victory lane. The American IndyCar Series driver is a logical choice for any race he starts and bookmakers at top online betting sites agree. Bookies like Ladbrokes have Rossi with 15/2 odds in the days leading up to the race, a significant favorite in odds over his closest competitors. As a rookie in 2016, the Andretti Autosport driver won the Indianapolis 500 after starting from the 11th position. His brilliant fuel management strategy allowed him to hold on for a thrilling win. Combined with his raw talent, the American’s clever mind keeps him as a perennial threat to take home another win. Though Rossi is the favorite, he has a deep field of talented competitors ready to keep him from a second win in the Brickyard. Betfair has reigning IndyCar Series Champion Josef Newgarden and three-time Indy 500 champion Helio Castroneves at 11/1 odds. The pair has combined for 33 wins and are both top candidates to add to their already impressive careers. A little further back in the pecking order presents value at 12 to 1 on Ladbrokes. This is where you’ll find 2014 IndyCar Series champion Will Power and 2018 Indianapolis 500 winner Scott Dixon. Power is particularly interesting as he finished third in qualifying and will start on the first row. Other big names present additional value. Ed Carpenter has a huge edge as the pole sitter and can be picked at some top sports betting sites for odds as favorable as 13 to 1. Tony Kanan, the 2013 Indy 500 winner, is also a worthy play at 14 to 1 odds. Spencer Pigot may not be a household name, but he has impressed in practices leading up to Sunday’s big race. The American finished sixth in qualifying, earning a spot on the second row to start the race. With changes to the cars’ aerodynamic package expected to curtail passing opportunities, this early start at the top of the field could provide a huge edge in what should be a wide open race. Bookies had Pigot at 40/1 odds earlier in the days leading up to the race, the most favorable for punters of any driver positioned in the first two rows. Defending champion Takuma Soto also can’t be ignored. Though handicappers doubt the Japanese IndyCar and Formula One veteran will replicate last year’s success, he obviously knows his way around the track - and victory lane. Top bookmakers had Soto around 33/1. While many questions remain to be settled on the track, this year’s field sets up for a riveting afternoon for spectators - and possibly a lucrative one for punters.